Why are US, Australia, UK health orgs still wrangling with legacy fax machines? U.S. federal officials this week called on physicians to eradicate faxes by 2020 while hospitals in Australia and England had situations of their own. Fax machines are still prominent enough in U.S. healthcare that Centers for Medicare and Medicaid Administrator Seema Verma just this week challenged developers to create new tools that could help doctors do away with faxing. The issue of lingering fax machines, however, is also playing out in other countries, notably Australia and the UK during the last couple weeks. 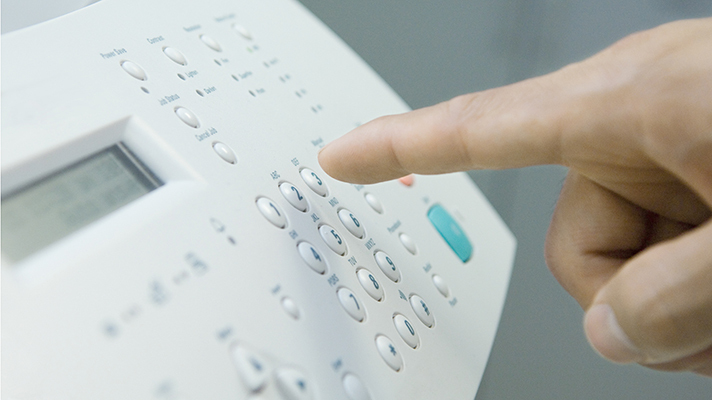 In what is a step back in Queensland Health’s efforts to eradicate the fax, Ipswich Hospital has directed clinics to only issue urgent patient referrals via the unreliable and out-of-date technology. The Queensland Government is currently out to tender for a statewide referral management system, and many GP practices currently use secure messaging platforms to send the vital clinical documents, but late last month the Ipswich Hospital Referrals Centre issued a directive for them to use faxes for urgent cases. The switch back in time is due to a newly acquired “smart referrals” fax gateway solution, according to the dispatch, with practices instructed not to use the secure clinical messaging service Medical-Objects, which commands the GP market in the region. Medical-Objects is one of Australia’s largest providers of secure clinical messaging services with more than 57,000 healthcare professionals on the platform. It allows GPs, specialists, public and private hospitals, and allied health, pathology, radiology and aged care providers to securely communicate while tracking all clinical correspondence. It also integrates with the major practice software vendors. Gastroenterologist and founder of Medical-Objects Dr Andrew McIntyre said the company wasn't consulted about the referral problem, which he learned about following the faxing of the new instructions. He said the issue has a simple fix. "Overall it’s typical of government IT, one part is totally disjointed from another and no one is trying to achieve any goal other than the one in front of them. It's quite frustrating but is, I am afraid, just ‘business as usual’ for government," McIntyre said. The ongoing reliance on fax technology by the healthcare sector has proven perplexing – and potentially dangerous. In May, the Victorian coroner criticized the medical profession's reliance on "antiquated and unreliable” faxes and called for national communication standards after a cancer patient’s test results were sent to the wrong number and he died alone in a hotel room. The 58-year-old Hodgkin's lymphoma patient, Mettaloka Halwala, was found in his bed by hotel staff when they opened the door of his room on the morning of November 17, 2015. The father of two had died from chemotherapy complications. Four days earlier a PET scan at Melbourne’s Austin Hospital had shown signs of potentially fatal lung toxicity linked to Halwala's treatment but the results did not reach his hematologist and he was delivered a further deadly dose of the same drug at Victoria’s Goulburn Valley Hospital. “It is difficult to understand why such an antiquated and unreliable means of communication persists at all in the medical profession,” Coroner Rosemary Carlin said in her inquest findings. But it is a prevalence that persists in healthcare worldwide. In July, the UK’s Royal College of Surgeons called on the health service there to modernize its IT infrastructure after discovering NHS hospital trusts in the UK were using about 9,000 fax machines. This week, the administrator of the Centers for Medicare and Medicaid Services in the US, Seema Verma, pledged to make healthcare providers in that nation fax free within two years. Queensland Health facilities received nearly two million referrals for outpatient appointments in 2016. In January, the Queensland Government put out to tender for an online clinical directory and a digital referrals solution as part of its Integrated Referral Management Solution program, which will provide GPs and other referrers with rapid, real-time access to information throughout the referral pathway, allowing them to better manage their patients’ journeys, improve patient safety and reduce specialist outpatient wait times. The iRMS is currently under development with Children’s Health Queensland, Metro North, Metro South and Sunshine Coast and will be implemented across all hospital and health services in the state. This article originally appeared on Healthcare IT News Australia.